On Sunday, the Nigerian Army declared the redeployment of a portion of its senior officers, including Maj.- Gen. A.A.Tarfa, the Commander, Nigerian Army Corps of Artillery who has been redeployed to Martin Luther Agwai International Leadership Peacekeeping Center, as Commandant in another posting discharged by the military Headquarters. 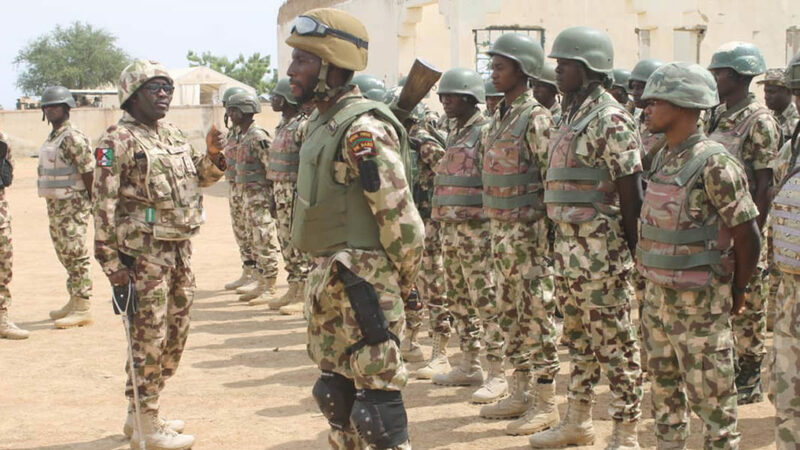 As per an announcement issued by Brig.- Gen Sani Usman, the Director of Army Public Relations on Sunday, Maj.- Gen. M. Mohammed, GOC 1 Division has been moved to the Headquarters, Nigerian Army Signals Corps and delegated as Corps Commander. Maj.- Gen. C.T. Olukoju, who as of not long ago the Signal Corps Commander, has been delegated Director General of the recently made Nigerian Army Simulation Center (NASIMC) with Headquarters in Abuja. Usman said under the new posting, Maj.- Gen. U.S. Yakubu has been presented on Headquarters of Nigerian Army Corps of Artillery and named as Corps Commander. Others are Maj.- Gen. C.U. Agulanna, Senior Research Fellow, Nigerian Army Resource Center (NARC), Maj.- Gen. F. Yahaya, Military Secretary (Army), as GOC 1 Division and Maj.- Gen. A.R. Bakare, Chief of Army Accounts and Budget. Also, Usman said Brig.- Gen. D.O. Donibo has been presented on Nigerian Army School of Infantry and named Director Army Training Support Center (ATSC). Brig.- Gen. G.A.T. Ochigbano, Acting Military Secretary (Army), Brig.- Gen. O.C. Ajunwa, to Nigerian High Commission Brasil, as Defense Adviser, Brig.- Gen. S.T. Shafaru, Commander Engineers, Headquarters Nigerian Army Special Forces Command. Likewise influenced in the posting are Brig.- Gen. B.Y. Baffa, from National Defense College to the Office of the Chief of Army Staff as Chief of Staff, while Brig.- General U.B. Abubakar is presently Deputy Military Secretary I.
Brig.- Gen. E.E. Emekah, from Army War College Nigeria, to 707 Special Forces Brigade as Commander and Col. E.C. Obi-Osang, from Defense Headquarters to Nigerian Army Special Forces Command as Chief of Staff.